K's Choice - "I Will Carry You"
Comic Reggie Watts makes a song about pancakes on his iPhone, live on SiriusXM's "Unmasked." Hosted by Ron Bennington, the exclusive original series features informal and interactive conversations with the superstars and emerging kings of Comedy. From George Carlin to Carlos Mencia to Jim Norton, each comedian shares a personal story of life, inspiration and the art of the laugh. senses provide the best avenues for interface. body is a continuity. Perception begins in the retina. Mind and body are one. space suit to walk in space, we'll now don cyber suits to walk in Cyberia. cyber exchanges with many others whom we may never meet in person. environments either self-designed or pulled up from menus. glitch in the program somewhere. to see themselves as the source of their own experience. "I really don't smoke pot anymore,'' I confess. to talk about the virtual reality that has his fans so excited. mentees hang out with him in his dressing room as he prepares to go on. and then he's off, sounding like a Celtic bard. be a machine rather than a person. The philosopher's stone is a living stone. something. The overmind is drilling toward us, and we are drilling toward it. set can learn from the experience of all the others. morphogenetic fields, and they "learn'' from the experiences of other atoms. Sheldrake's picture of reality is a vast fractal of resonating fields. the overall picture (through the principles of feedback and iteration). to neurotransmitters in the brain. species toward greater intelligence, empathy, and awareness. observer and observed are one--the reality itself. computer revolution found suitable conditions for growth. and it did not allow us to see that anything else existed. there were forces at work that went beyond anything that I can imagine. humans need to change their minds in some way. drugs.) So, to the extent that they can, that is a useful quality. beneath the surface, material reality. awareness about themselves as a collective conscious. because it is observed differently. making drugs know more about the chemistry than the regulatory agencies. another and become a global consciousness. mind can become more fully conscious. is in the heart' [a Deee-Lite lyric]. We just want to expose people to it. People decide that they're into it because they respond to it on a heart level. fully reintegrates into a postpsychedelic culture. emptiness between the stars, is the Aeon. new for us as when our ancestors lived it fifteen thousand summers ago. we have gone so ill in. barriers. This is a psychopharmacological virtual reality. the elves arises, they're gone and a different set of images parades by. Terence sat on the other side of their tent making notes and having insights. overall continuum of time and space. by others in their professional fields--hence the pseudonyms. aware of what is taking place, the change will accelerate exponentially. thing, usually less invasively but also a bit less effectively. are those people gonna be in the future? They're gonna be what Hunter S.
time is no easy task. even months at a time. draw people in. They're not the actual things that are happening. information then you're not capable of fighting the machine. something that doesn't do what they say it does. for his upset as the political vulnerability of Earth Girl's glamour image. "It's a matter of fine balance. at work on the next flurry of culture-bending inventions and activities. from view, their own contributions to the cyberian renaissance already completed. rest of us. And they make more sense. control anything. At best it's a matter of surfing the whitewater. had me pegged from the beginning. Sure, I had done a little "experimenting"
market than any have before. to make this your paradigm, too. The battle for your reality begins on the fields of digital interaction. as you dream it up. limitations of time, distance, and the body are perceived as meaningless. Now this all may be difficult to take seriously; it was for me--at first. history altogether and into some sort of timeless dimension. our minds but our bodies along for the ride. of the next dimensional home for consciousness. plane in which humanity will soon find itself. of logic and social engineering. his hands can break in to almost any computer system in the world. hypocritical and illogical social structures, thus rendering them powerless. cultures can trickle up through our youth into the mainstream. running. This is much more profound than that. This is the real thing. of being as it rises into a higher dimension." the secret rooms and passageways where no one has ever traveled before. nature of information, creativity, property and human relations. find out it's a dead end, and leave. through his own computer], the Bodyguard will flash an error flag [warning! systems, you can't watch everything. "It's difficult, because you have to cover your tracks, but it's not impossible. working on the thing for some company or another. plug it back into the original equation again and again, countless times. because I was a purveyor of psychedelics to the mathematical community. has always been the motor behind the advancement of consciousness. young to be hired. The companies turned instead to the acid heads. has been using to organize experience fall away. "Consciousness is binary,'' poses Kottke, from a casual lotus position. in a book of words, it is broken down into a series of yes/no's or dot/dashes. duality but, unlike the human mind, has no interpretive grid. of life is reevalutated in an egoless context and put into a new order. manner, like the computer does. include psychedelics-influenced developers in their ranks. "alternative culture members'' are refusing to work for them. it's an infringement on civil liberties. And I think they're right. ones that recognize the popularity of psychedelics among their employees. justifiability of the war machine. "We don't have the same distance between us anymore. Princeton doctor adds his questions about the validity of the experiment. The idea of networking through the computer quickly spread. ability to define its fair use. comments, or one can dive in and participate. result gets heard and iterated throughout the net. needs only to link up. Or is it really that easy? Stink tries to log on and receives the message, but he doesn't call in. experience by passing this symbology back and forth. 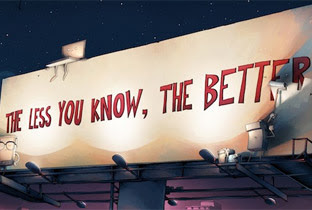 information and experience previously reserved for experts. 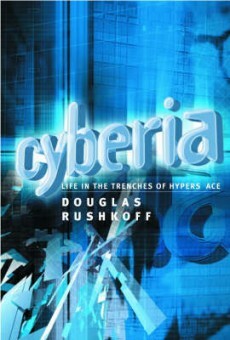 Cyberia is a book by Douglas Rushkoff, published in 1994. The book discusses many different ideas revolving around technology, drugs and subcultures. Rushkoff takes a Tom Wolfe Electric Kool Aid Acid Test style (or roman à clef), as he actively becomes a part of the people and culture that he is writing about. The books goes with Rushkoff as he discusses topics ranging from online culture, the concept of a global brain as put forth in Gaia theory, and Neoshamanism. 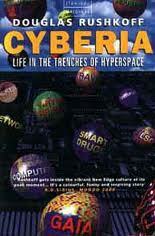 The full text of Cyberia is freely available on Rushkoff's website. A downloadable pdf-version is also available from The Cyberpunk Project's library. Like most of Discordianism, the Law of Fives appears on the surface to be either some sort of weird joke, or bizarre supernaturalism; but under this, it may help clarify the Discordian view of how the human mind works. Lord Omar is quoted later on the same page as having written, "I find the Law of Fives to be more and more manifest the harder I look." 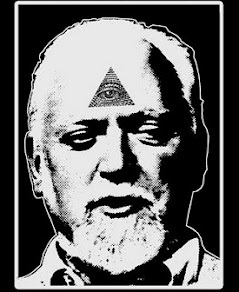 Appendix Beth of Robert Shea's and Robert Anton Wilson's The Illuminatus! Trilogy considers some of the numerology of Discordianism, and the question of what would happen to the Law of Fives if everyone had six fingers on each hand. 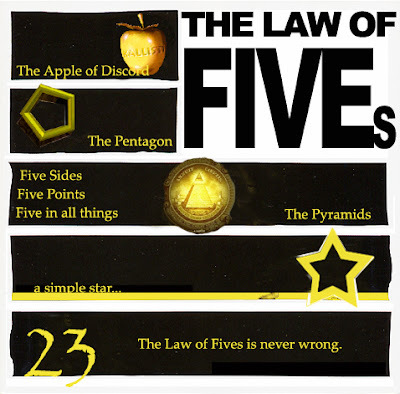 The authors assert that the real Law of Fives is realizing that everything can be related to the number five if you try hard enough. Sometimes the steps required may be highly convoluted. Incidentally, the number five appears five times within the quote describing the Law of Fives, which is stated in 23 words. Another way of looking at the Law of Fives is as a symbol for the observation of reality changing that which is being observed in the observer's mind. Just as how when one looks for fives in reality, one finds them, so will one find conspiracies, ways to determine when the apocalypse will come, and so on and so forth when one decides to look for them. It cannot be proven wrong, because it proves itself reflexively when looked at through this lens. At its basic level, the Law of Fives is a practical demonstration that perception is intent-sensitive; that is, the perceiver's intentions inform the perception. To whatever extent one considers that perception is identical with reality, then, it has the corollary that reality is intent-sensitive. The Law of Fives is related to the significance of the number 23 and the 23 Enigma in the Illuminatus!-trilogy, as 2 plus 3 equals 5. Sublime with Rome reveal their new music video, "Take It Or Leave It,"
Like it or not, you've just become a Discordian Pope by seeing this image. And now have the power to name anyone you wish a Pope as well. You are infallible! Maybe! 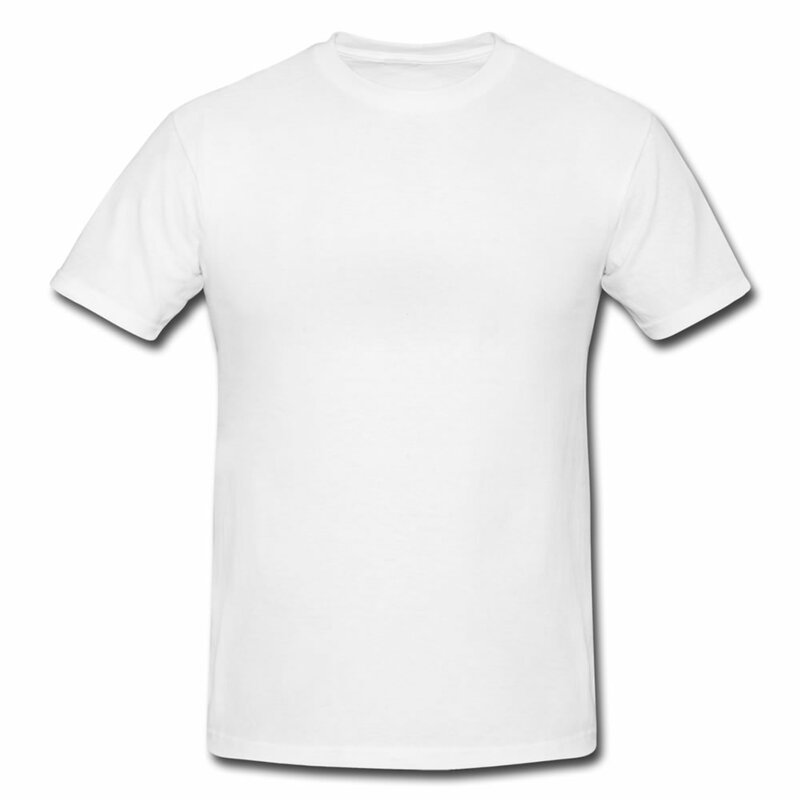 The official symbol of POEE is here illustrated. It may be this, or any similar device to represent TWO OPPOSING ARROWS CONVERGING INTO A COMMON POINT. It may be vertical, horizontal, or else such, and it may be elaborated or simplified as desired. The esoteric name for this symbol is THE FIVE FINGERED HAND OF ERIS, commonly shortened to THE HAND. NOTE: In the lore of western magic, the is taken to symbolize horns, especially the horns of Satan or of diabolical beasties. The Five Fingered Hand of Eris, however, is not intended to be taken as satanic, for the "horns" are supported by another set, of inverted "horns". Or maybe it is walrus tusks. I don't know what it is, to tell the truth. 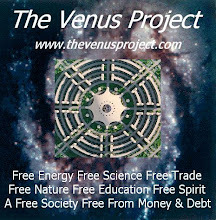 POEE (pronounced "POEE") is an acronym for The PARATHEO-ANAMETAMYSTIKHOOD OF ERIS ESOTERIC. The first part can be taken to mean "equivalent deity, reversity beyond-mystique." We are not really esoteric, it's just that nobody pays much attention to us. POEE has no treasury, no by-laws, no articles, no guides save Mal-2's pineal gland, and has only one scruple--which Mal-2 keeps on his key chain. POEE has not registered, incorporated, or otherwise chartered with the State, and so the State does not recognize POEE or POEE Ordinations, which is only fair, because POEE does not recognize the State. when not in doubt..get in doubt!! I sometimes think of it as a disorganization of Eris Freaks. It has been called a guerrilla mind theatre. Episkopos Randomfactor, Director of Purges of Our People's Underworld Movement sect in Larchmont, prefers "The World's Greatest Association of What-ever-it-is-that-we-are." Lady Mal thinks of it as a RENAISSANCE THINK TANK. Fang the Unwashed, WKC, won't say. You can think of it any way you like. AN EPISKOPOS OF THE DISCORDIAN SOCIETY is one who prefers total autonomy, and creates his own Discordian sect as The Goddess directs him. He speaks for himself and for those that say that they like what he says. THE LEGION OF DYNAMIC DISCORD: A Discordian Society Legionnaire is one who prefers not to create his own sect. In the year 1166 B.C., a malcontented hunchbrain by the name of Greyface, got it into his head that the universe was as humorless as he, and he began to teach that play was sinful because it contradicted the ways of Serious Order. "Look at all the order around you," he said. And from that, he deluded honest men to believe that reality was a straightjacket affair and not the happy romance as men had known it. The second concept Wiener has to establish is that of entropy. Probability is a mathematical concept, coming from statistics. Entropy comes from physics. It is the assertion-- established logically and experimentally-- that the universe, by its nature, is "running down", moving toward a state of inert uniformity devoid of form, matter, hierarchy or differentiation. The tendency for entropy to increase in isolated systems is expressed in the second law of thermodynamics-- perhaps the most pessimistic and amoral formulation in all human thought. The whirlpools that swirl in a direction opposed to the main current are called "enclaves". And one of them is life, especially human life, which in a universe moving inexorably towards chaos moves towards increased order. With our concept making apparatus called "mind" we look at reality through the ideas-about-reality which our cultures give us. The ideas-about- reality are mistakenly labeled "reality" and unenlightened people are forever perplexed by the fact that other people, especially other cultures, see "reality" differently. It is only the ideas-about-reality which differ. Real (capital-T True) reality is a level deeper that is the level of concept. We look at the world through windows on which have been drawn grids (concepts). Different philosophies use different grids. A culture is a group of people with rather similar grids. Through a window we view chaos, and relate it to the points on our grid, and thereby understand it. The ORDER is in the GRID. That is the Aneristic Principle. The real reality is there, but everything you KNOW about "it" is in your mind and yours to do with as you like. Conceptualization is art, and YOU ARE THE ARTIST. Magicians, especially since the Gnostic and the Quabala influences, have sought higher consciousness through assimilation and control of universal opposites-- good/evil, positive/negative, male/female, etc. But due to the steadfast pomposity of ritualism inherited from the ancient methods of the shaman, occultists have been blinded to what is perhaps the two most important pairs of apparent or earth-plane opposites: ORDER/DISORDER and SERIOUS/HUMOROUS. Magicians, and progeny the scientists, have always taken themselves and their subject in an orderly and sober manner, thereby disregarding an essential metaphysical balance. When magicians learn to approach philosophy as a malleable art instead of an immutable Truth, and learn to appreciate the absurdity of man's endeavours, then they will be able to pursue their art with a lighter heart, and perhaps gain a clearer understanding of it, and therefore gain more effective magic. CHAOS IS ENERGY. If you can master nonsense as well as you have already learned to master sense, then each will expose the other for what it is: absurdity. From that moment of illumination, a man begins to be free regardless of his surroundings. He becomes free to play order games and change them at will. He becomes free to play disorder games just for the hell of it. He becomes free to play neither or both. And as the master of his own games, he plays without fear, and therefore without frustration, and therefore with good will in his soul and love in his being. and the wisdom of a child. Hail Eris. DID YOU KNOW THAT YOU HAVE A LOPSIDED PINEAL GLAND? Well, probably you do have one, and it's unfortunate because lopsided Pineal Glands have perverted the Free Spirit of Man, and subverted Life into a frustrating, unhappy and hopeless mess. It will advise you how to balance your Pineal Gland and reach spiritual Illumination. And it will teach you how to turn your miserable mess into a beautiful, joyful, and splendid one. Joe Rogan - "Irresponsible Advice"